In Russia, the term “stilyagi” was used in the Soviet era, particularly in the ’50s, to describe—often in derogatory terms—a youth subculture obsessed with fashion and music (particularly jazz). Half a century later, the Russian hipster was born. Or was s/he? 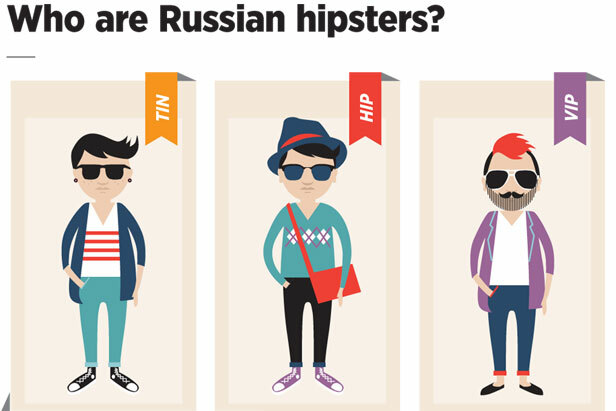 Is the Russian hipster a copy or only a cousin of the creature we find in the West? Or is he or she no relation, except by name?